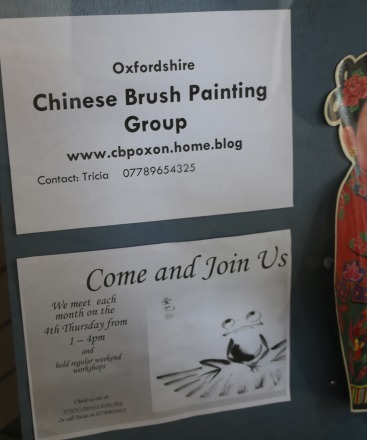 For Chinese New Year (Tuesday, 5 February) a lovely window display was put up in the Community Free Space by the Oxfordshire Chinese Brush Painting Group, many of whom live in Abingdon. The display is still there a week later. Anybody interested in one of the oldest and most beautiful of artistic traditions in the world can join the group. The Ashmolean museum in Oxford has a dedicated gallery for Chinese paintings with changing exhibitions. It currently has a centennial exhibition for the Hong Kong artist Lui Shou-Kwan. 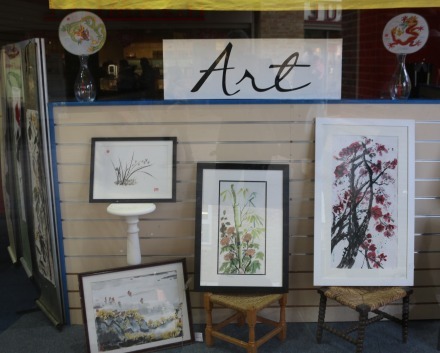 Then the Oxfordshire Chinese Brush Painting Group will have an exhibition at Oxfordshire Artweeks. The Chinese display is likely to be the last in the Community FreeSpace’s present premises. FreeSpace has been in its present location for over 5 years, but because a commercial tenant has been found for that unit, it will shortly be moving, probably to the empty unit next to the British Heart Foundation shop. 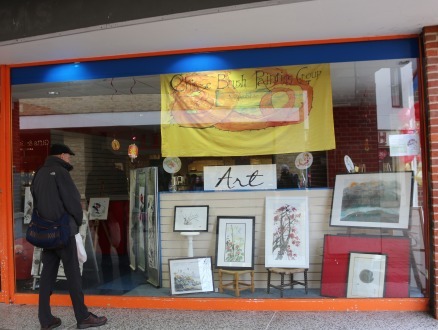 The space is provided rent free by the Shopping Centre landlords and is managed by the Friends of Abingdon to provide a “free space” for community groups and not-for-profit organisations to demonstrate and promote their activities. If all goes to plan there will be another spectacular window display in the new premises at the end of February.